Our next meeting will be held ​​at 1:30 pm on Sunday, April 28, 2019 in the Education Center Auditorium of St. Joseph Mercy Hospital at 5305 Elliott Drive, Ann Arbor, Michigan. The meeting is free and open to the public. Our speaker will be Dan Fantore. "Breaking Down Brick Walls "
Build a Brick Wall? Genealogists already have plenty of them! You’ve researched your ancestors, have found another generation and then—no progress. Genealogists get stuck. Brick walls may last for years or a life time, but more knowledge and more skills may knock that brick wall down. Learn about the causes of Genealogical Brick Walls and the potential solutions to scaling them. The causes of Brick Walls are many and the solutions may be many also. Bring your Brick Walls. You’ve overcome them in the past—you can do it again! "Beginning Genealogy: Part 3--Cemeteries and Church Records"
The Genealogical Society of Washtenaw County, Michigan (GSWC for short) functions through volunteer efforts and welcomes anyone interested in genealogy and local history, whether beginning their family research or more experienced researchers. THANK YOU for visiting the GSWC website. We hope your visit will help your research and you will return often. Click on the Green Buttons on the left. Note that after you click, submenu items may appear below the button. Once you sign in as a member, further submenu items will appear below Members and Washtenaw Research. Our website features an extensive list of Washtenaw County and Michigan research links and resources; databases; indexes; a surname database; a catalog of over 2,000 books, cemetery records, and census records in our library; and a calendar of events. For HELP with your Washtenaw County research, use the "Research Requests” button on the left. We encourage you to become a MEMBER. (Click here to join). 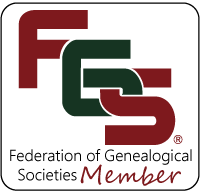 Your membership in the GSWC will help you further your research goals and will also help GSWC in its important work of collecting and preserving Washtenaw County’s family history and heritage.